Pontiac crate engines are what you will find in our warehouse inventory. When you buy a Pontiac, you are getting a century worth of design and development. General Motors put a lot of stock into making Pontiac and Buick into major auto brands. GM succeeded and there are many Pontiac crate engines that can be purchased here. We sell Pontiac crate engines for sale for prices never before found on the Internet. We don’t have to spend time reviewing our competition because we don’t have any. 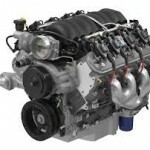 We’ve not found one dealer that can come close to our pricing here at www.crateengines.co. Buying replacement engines can be quite tricky if you are not prepared. It takes a little time and legwork to locate the right engine. There are plenty of crate engine companies that build custom engines. You are likely coming to this website because you want an OEM engine. There is nothing wrong with project car companies that build engines for sale. We choose to offer stock engines that are actually built by following Pontiac engine specs. We do this to ensure total quality and to guarantee that our engine customers get a reliable engine. There are good things and bad things you can do during an engine build. We do only good things. What is known as dyno testing plays an important role in our GM engines. The process works in a series of important steps. 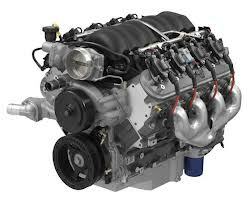 We buy engines to resell them to customers worldwide. If we skipped testing after engines arrive, we would never be able to assure ourselves or customers. We don’t forget about crate engine tests that are crucial to how an engine performs after it gets installed. We put engines through the dyno testing equipment. This machinery is basically and advanced computer software program. It allows us to measure compression, fluid leaks and other aspects that help engines to be top notch. Our data comparisons and the experience of our mechanics help make the final determination how great engines are that we sell. We get a lot of customer feedback too. Because our warranty rate is next to nonexistent, we are not plagued by warranty returns or requests. We include extensions of our OEM warranty alongside each Pontiac crate engine. What this does is it proves the quality of the motors and provides additional peace of mind. You may never have to use the warranty we give you, but it is definitely there if you need it. The only thing you need to know next is what price you’ll pay to own one of our V6 or V8 Pontiac crate engines. Call us toll free at 1-877-630-3873. We’ll let you review our pricing and inform you of anything else that you want to know. We’re really helpful and supportive people. You are not bothering us by making sure you are getting what you want. Use our crate engine quote form on this website and you’ll get an online quote. It’s superior to any other quote system you’ve seen elsewhere on the Internet.